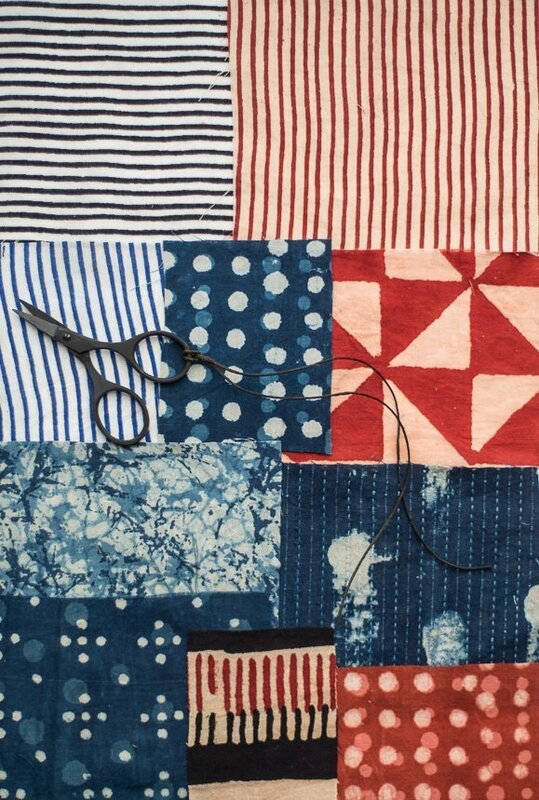 A whole cloth quilt just uses one piece of fabric, making the quilting the star of the show and not the patchwork. It’s much quicker than doing a patchwork quilt and ideal if you’re a quilting beginner. We have used our Mina block print and simply done straight line quilting every 5 inches. Sometimes you see great prints but you wouldn’t want to wear them, making a quilt is a great way to show off an amazing print. This quilt literally took one evening from start to finish so very achievable for Christmas presents! 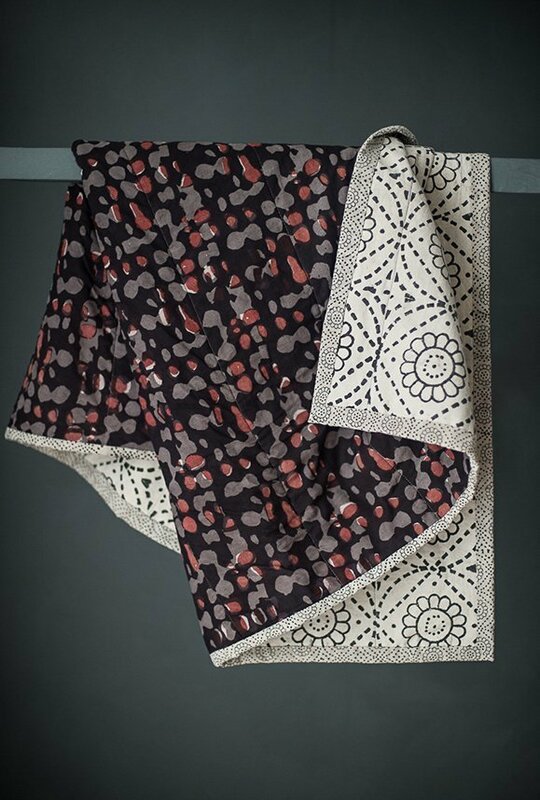 Because block prints can be unstable we recommend washing your fabrics first with a handful of table salt in the washing machine drum at either 30/40 degrees. We made this one square, 1.1 x 1.1.m’s with cotton batting. If you wanted to make a larger version for a bed you could simply put a seam horizontally across. The quilt in the main picture is made from our Mina block printed cotton, with Daisy Grey Maxi on the reverse and Daisy Grey as binding. Lean Stripe Mono, Lean Stripe Tomato, Lean Stripe Indigo, Indigo Spot, Red Flight, Marbled Indigo Web, Indigo Splodge, Indigo Pond Life, Matchsticks, Tomato Spot.